Lovely old buiding, with its distictive building style and colours ! Fine composition !! Nice comp with good colors. 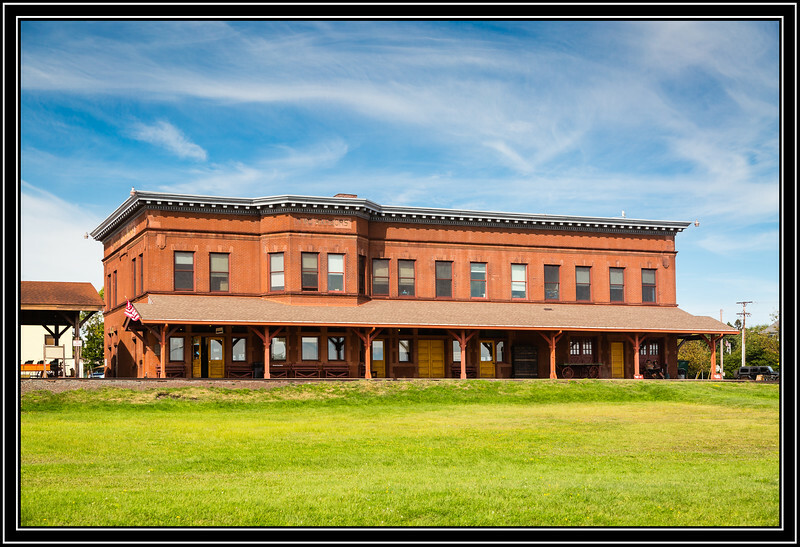 Great looking old railway building. I can imagine that would have been a wonderful museum to visit. Particularly for Bill and his love of all things train. Looks like it was a beautiful day, very nice shot!